BTS is nominated for the 46th American Music Awards (AMAs). 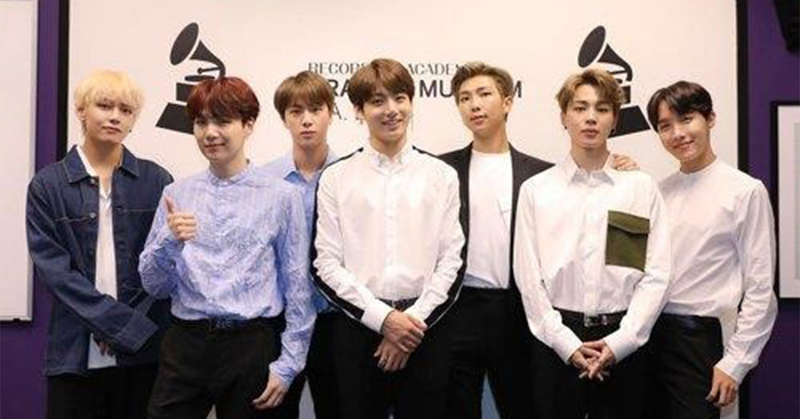 On September 12, the nominations for the 2018 American Music Awards have been announced, and BTS has been included in the list alongside Drake, Cardi B, Demi Lovato and Shawn Mendes in the category of 'Favorite Social Artist'. As BTS previously won Top Social Artist at both 2017 and 2018 BBMAs, they've never been nominated for one of the categories in AMAs. When you look at the major categories, Drake, Imagine Dragons, Post Malone, Ed Sheeran, and Taylor Swift are to compete for the 'Artist of the year' category. Camila Cabello, Cardi B, Khalid, Dua Lipa, and the late rapper XXXTentacionare are up for the awards for 'New Artist of the year'. For the category of 'Collaboration of the year', Camila Cabello featuring Young Thug (Havana), Post Malone featuring 21 Savage (Rockstar), Bebe Rexha and Florida Georgia Line (Meant to Be) and Zedd, Maren Morris and Grey (The Middle) will face off against each other. Moreover, Beyonce and Jay-Z, Bruno Mars, Ed Sheeran, Taylor Swift, and U2 landed as the nominees of 'Tour of the year' while Camila Cabello and Young Thug's Havana, Cardi B's Bodak Yellow (Money Moves), Drake's God's Plan are all up for the 'Video of the year'. Besides, Camila Cabello, Cardi B, and Taylor Swift are nominated for the 'Favorite female artist-pop/rock' while Drake, Malone, and Ed Sheeran are nominated for the 'Favorite male artist-pop/rock'. Upon this complete list of nomination, US presses have seen Drake and Cardi B as the leading artists with 8 nods each for 2018 AMAs. AMAs are one of US' three major Awards Ceremonies alongside Grammy Awards and Billboard Music Awards. American Music Awards nominees are based on key fan interactions as reflected on Billboard.com, including streaming, album and digital song sales, radio airplay, social activity and touring, reflecting the time period of September 15, 2017, through August 9, 2018. The 2018 AMAs, hosted by Tracee Ellis Ross for the second year in a row, will air live on ABC from Los Angeles' Microsoft Theater on Wednesday, Oct 10 (KST).